Maybe you are asking yourself what "Pistang Pinoy" is. 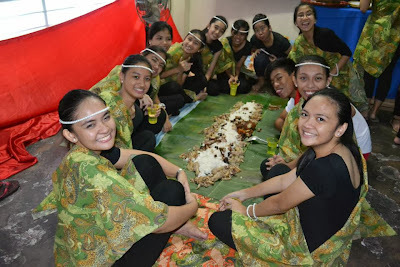 Well, it is an event in my school, Pasig City Science High School, similar to Buwan ng Wika. We gather all together for a once in a year feast of different filipino foods. But before this feast we had a program at our gymnasium. 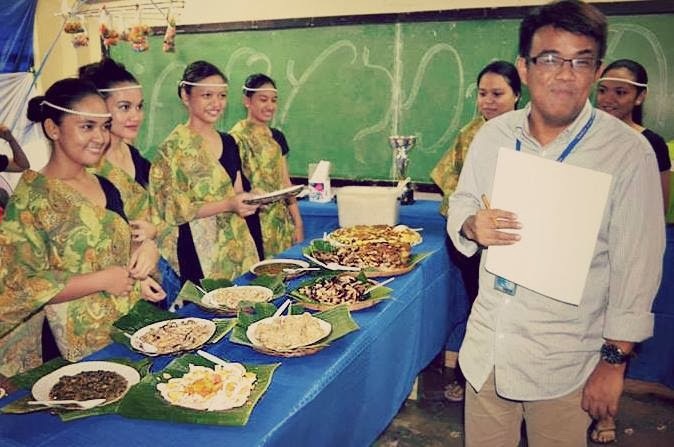 Everyone was really ecstatic about this event, including me.The awarding of winners was also held during this day, luckily our team for the Balagtasan won and they were champion. Good job guys. 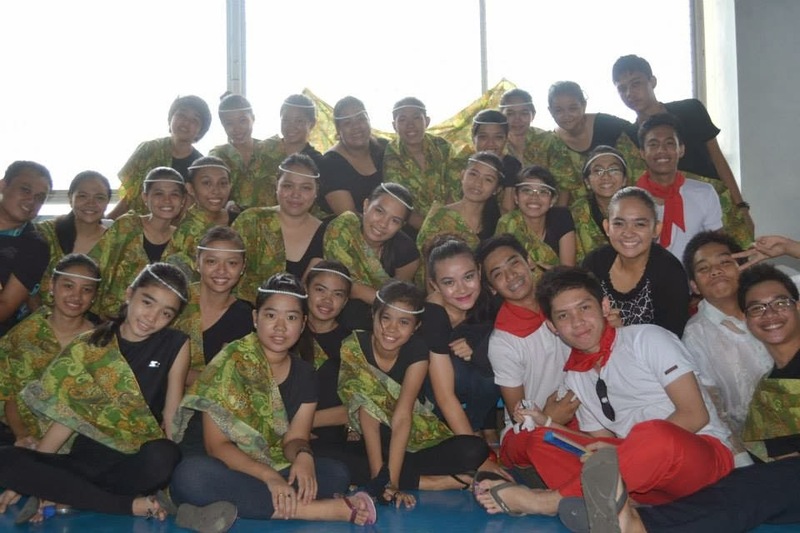 Anyway, we, IV-Berzelius, also had a few photo sessions with our adviser here is one. After that photo session and the program we were allowed to go back to our classrooms and have our own program. There was also a contest for every year level, our foods were checked and the room decorations. One judge came into our room, tasted our food and then gave judgments about it. After the the judge left, we had our chance to eat the food we prepared. We had a boodle-fight, which I had experienced for the first time, I never knew it was that fun though not all of us were able to join it because there was not enough banana and leaves. The others just ate on the plates which we brought. But Pistang Pinoy did not end there, our batch, 6th batch, also had some games prepared though not everyone was able to join at least many had fun. In one section they even rented a karaoke machine, everyone sang their hearts out till their throats hurt. We also had unlimited ice cream, it was actually one of the best part. But it's exclusively for the seniors. After the games and everything, the last part was cleaning-up. Everyone helped clean their classrooms (and even the corridors). After this day, you could actually see all those big smiles on our faces though tired. I could say that we were united that day. Still hoping for an event that could unite our batch. Until that next time.